Say “Rioja” and people think about the Tempranillo grape, and for good reason: it comprises the majority of the blend for most Rioja wines (and quite often 100% of the wine). It also gives Rioja its distinctive aromas of dried red fruits and mellow spice that so many people know and love. Tempranillo has been synonymous with the region since the mid-15th century and is by far the most popular grape planted. 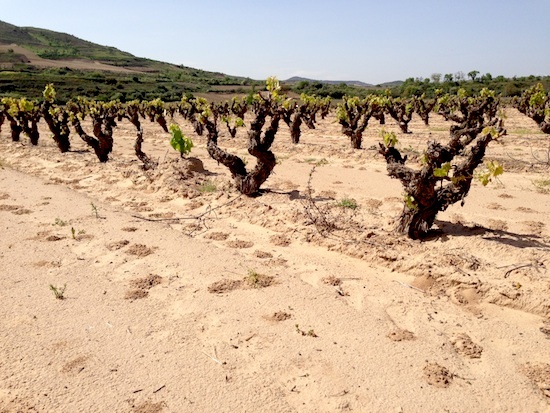 As a result, it’s easy to simply think about just Tempranillo when thinking about Rioja. However, three other red grapes are prominent in Rioja: Granacha (Grenache), Graciano, and Mazuelo (otherwise known as Carignane). Here’s what most people don’t know: the laws that regulate the designation of Rioja DOCa on a label allow for any use of any of these grapes in any percentage. An example of this is our Rio Madre Rioja, made from 100% Graciano (and delicious … 90 points from The Wine Advocate!). The connection between Rioja and Bordeaux dates back to 1780, when Don Manuel Quintano traveled to Bordeaux to learn how to make fine wine. He returned to Spain with a magic bullet of sorts: the advent of a new tool in Bordeaux, the oak barrel. Not only did this help with quality, but allowed for the idea of exportation to become a major factor in Rioja (eventually developing markets as far away as Cuba, since the wines of Rioja stayed as intact during travel as the best wines of France). In another instance of Bordeaux helping Rioja become what it is today, during the late 19th century as vineyards across France (including Bordeaux) were slowly perishing from the Phylloxera invasion, the Bordolaise never stopped drinking or shipping wine. To quench their thirst (and the demands of their customers in the capitals of Europe) they turned to an old friend to the south, Rioja, in turn helping to bring the wines of Rioja onto the world stage in Paris, London, and beyond. What does this mean? 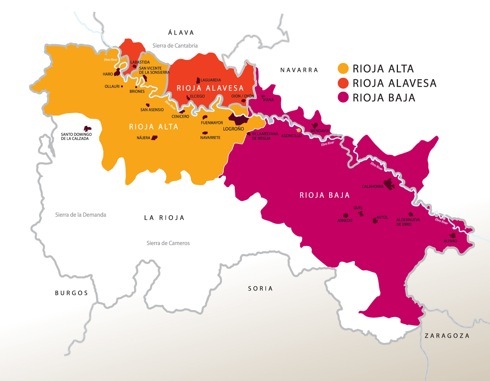 There are three sub-regions in Rioja: Rioja Alta (western section, higher elevation, often seen as highest quality area with great verve and balance), Rioja Alavesa (northern section, poor soils to help keep yields down, high elevation, full bodied and high acid wines), and Rioja Baja (southeast, drier and warmer and more Mediterranean, producing wines of ripeness and power). 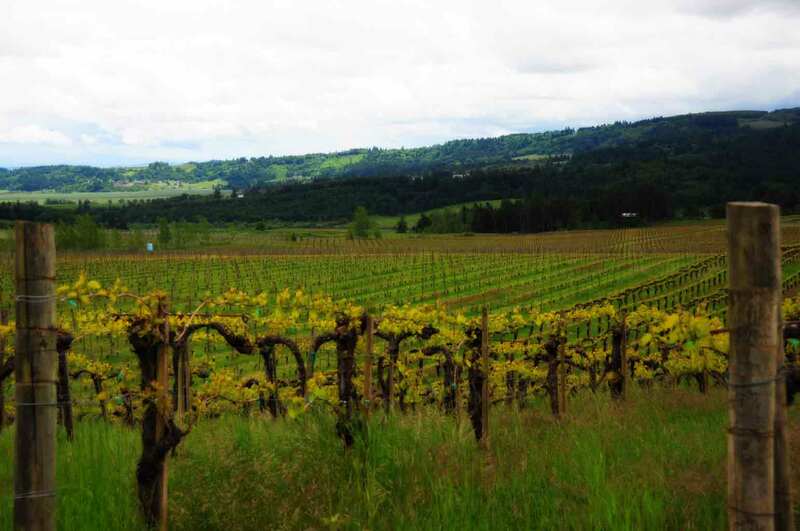 Because most wineries do not have land holdings in multiple sub-regions, the wines of a particular producer will often consistently show the characteristics of their sub-region. Combine that with the fact you can use any of the four main grapes in any percentage, and you end up with the reality that there is a huge variation in styles and possibilities with Rioja. From light bodied, delicate, nearly Pinot Noir like beauties, to full throttle, take-no-prisioners hedonistic fruit bombs, and everything in-between (even on the same vintage). Learn what regions your favorite producers are from, and you’ll start to track the style differences between Alta, Alavesa, and Baja. 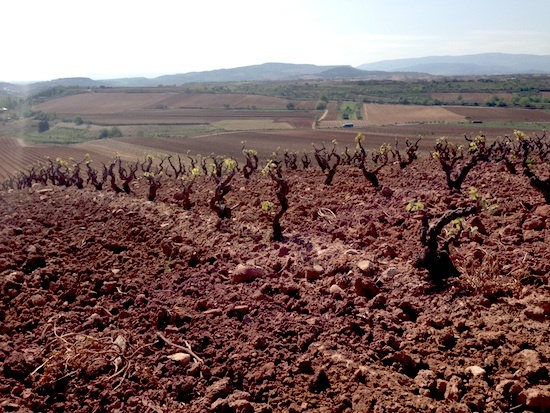 Rarely do you come across wine regions with as distinctive, yet varied, geologies as you do in Rioja. 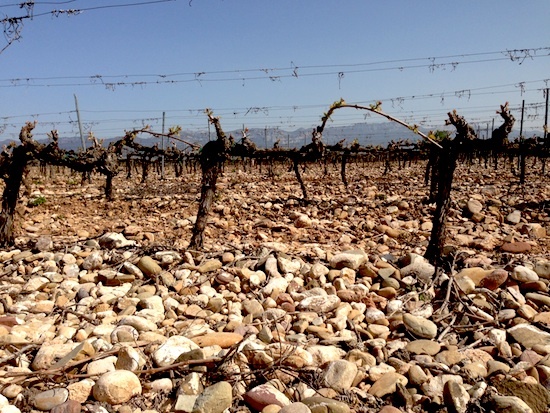 As you can see from the photos below (taken by Portfolio Director Wil Bailey in April of 2013), some areas of Rioja look more like Contra Costa, Chateauneuf-du-Pape, or Coonawara. Note that all three photos below were taken within one mile of each other. There is no region (outside of possibly Champagne) where wines are stored in such quantity as Rioja. Because Rioja wines are labeled based on minimum aging laws (see Wine Folly’s great graphic for the details), a natural backlog of supply develops. For instance, to be labeled a Reserva, a red Rioja has to be aged in a minimum of one year in oak and two years in the bottle. Many producers go above and beyond these minimum requirements and hold the wine for five, ten, or even twenty years before releasing it to the world. As a result, most producers could cease production today, yet easily keep all of their customers supplied for three to four years. There are some traditionally minded wineries where the supply reaches the level of eight to ten years. Compare that to the ‘ferment it quick and bang it to market’ mentality of many new world wine regions, and you start to see just how special Rioja is. Discover Rioja – the official site of the Rioja promotion board. A fabulous website! 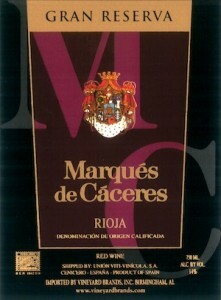 I have a 1994 Gaudium marques de caceres red wine. My question is , is this wine still okay to drink if I have stored it properly? We have been keeping it for a future wedding. Thanks. Yes! It should be drinking beautifully as long as it is stored correctly. A great vintage and that wine will drink well for decades! Thanks I was doing some research on Rioja and this information was helpful and interesting.